Alcohol/Vol 12.5% Made in:Ontario, Canada By: Thirteenth Street Wine Corp.Sugar Content:12 g/L Sweetness Descriptor:D – DryStyle:Medium-bodied & Flavourful Varietal:Sparkling – Dry Description Since creating their first in 1998, 13th Street’s sparkling wines have been one of their great strengths. 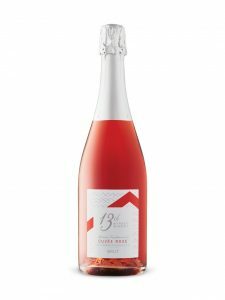 Dry with a bright acidity and a creamy mousse, the Brut Rosé offers red fruit and mineral tones. Perfect as an aperitif or with smoked salmon.